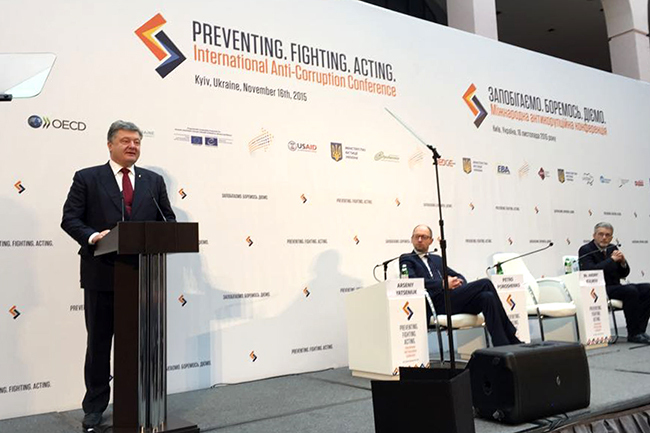 On 16 November 2015 National Reform Council and the Ministry of Justice of Ukraine with the support of international partners, including EUAM, organized “First International Anti-corruption Conference” in Ukraine. The conference provided a platform for a frank and open dialogue between the state, business and civil society and brought the best international experts from countries that have succeeded in preventing and fighting corruption. One of the elements of the conference was an interactive stand. If you have more ideas, please, share them with us using the hashtag #IACCUkraine.